MyPhone have not answered yet on its rival brand latest release that is equipped with an octa core processor. In the past few days it seems like they are cooking for something new to us guys after new photos leaked that contains their latest series of smartphones model. 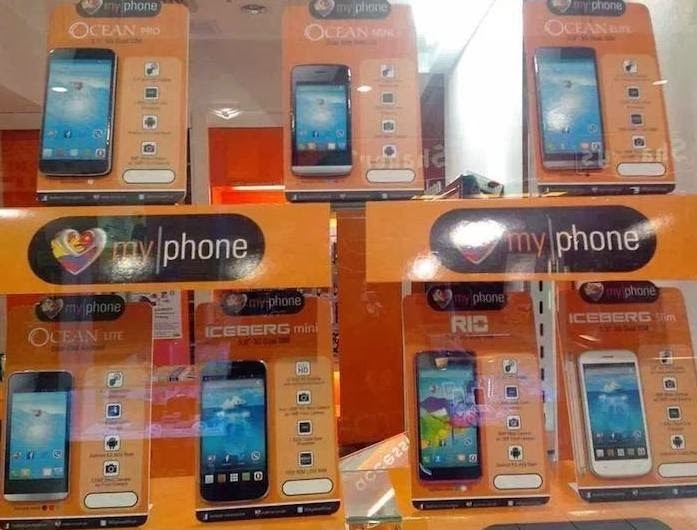 The picture MyPhone Ocean includes different version namely, MyPhone Ocean Pro, Elite, Lite and Mini. The company has no confirmation yet about the release date and availability of the mentioned devices but it seems like they are on stock and set to be release few weeks from now. To those who are planning to get a new phone, you can look on few specifications of these latest MyPhone Android phone units. This phone may fall on the level of MyPhone Rain series in terms of specs and price. This seems to be a budget friendly and specs wise phone with 4-inch screen just like MyPhone Agua Storm. A phablet with 5.5 inch screen with a few inch smaller display of their Iceberg phone. The price of this maybe lower than Vortex as it has only qHD screen resolution. Must to watch out for this phone as the specs and features is quite promising. We also looking forward on the suggested retail price of this unit. Few details of this phone found below. The last on the list that we spotted on the leaked photo is the MyPhone Iceberg Slim, this phone also design on a 5-inch screen and still come with HD display. This has almost the same specs with Ocean Pro but with a smaller screen and identical 1.3GHz powered processor. More information and details about the listed units will be updated once MyPhone officially announced it.